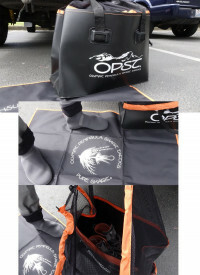 Wader Bucket, Soft Shell by OPST. Nobody likes dealing with muddy wading boots and soggy waders. Save yourself a headache with OPST's Wader Bucket, a spacious, soft-shell bag with room for two pairs of boots and waders. The bag features a mesh draw string closure that allows for drying, with Velcro to secure the carrying straps. The Wader Bucket comes with an OPST logo mat for you to stand on when you've taken off your waders. 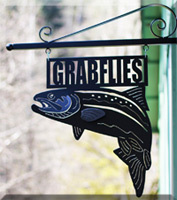 Take some of the headache out of what many people consider the best part of the fishing day- getting out of your waders.